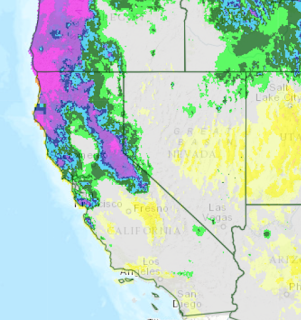 California receives much of its moisture in the mountains which is stored in reservoirs, so the amount of rain and snow over the Sierra is crucial to the state's welfare. Here is the departure from normal (inches) for the region for the last 30 days which is solidly above normal in the mountains. And, the forecast for the next seven days is more of the same. 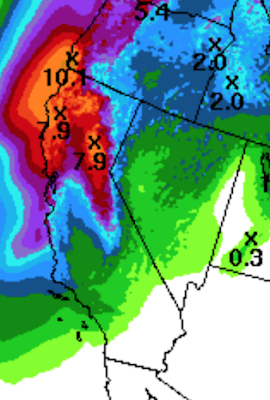 California has a long way to go to end the drought but these are nice first steps...err, inches.